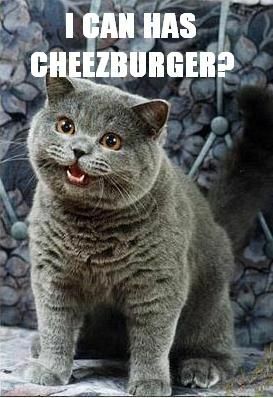 I can haz two colors? As I mentioned in my last post, I am making some new design choices with my latest B5147 dress. I am using a lightweight plum tweed from Paron’s as the fashion fabric, some unknown type of lining (purchased from P&S fabrics). My thinking was that since this was tweed, I would make a more casual dress, really more of a jumper, as I know I will wear it with a shirt or turtleneck underneath it since the pattern is sleeveless. 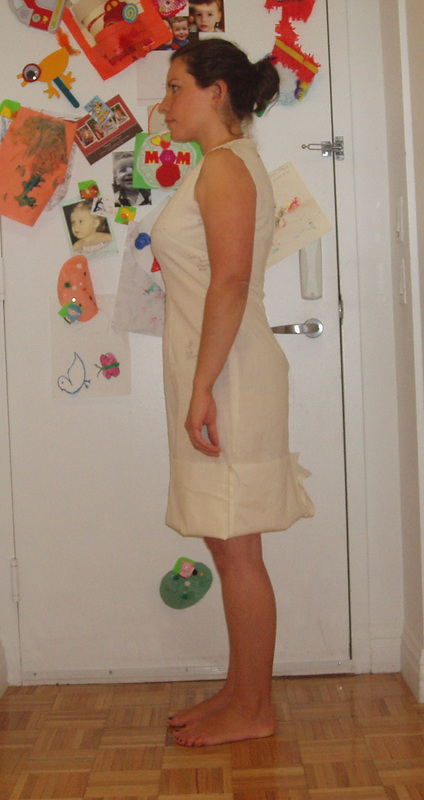 As I was sewing the lining to the fabric at the neck, I was inspired to add topstitching to the neckline and armscye. I thought it would punch up the sporty look of the tweed. 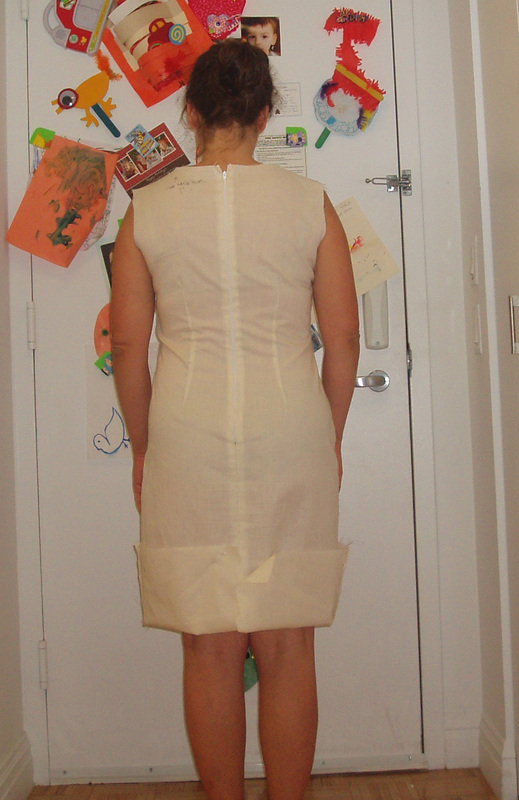 The topstitching combined with my exposed zipper in the back would make this dress look completely different from my silk twill version or the dressier one I made for my cousin’s wedding. Anyhoo, getting on with it. I had changed the thread in my machine from the yummy plummy thread to the one that matched my lining. 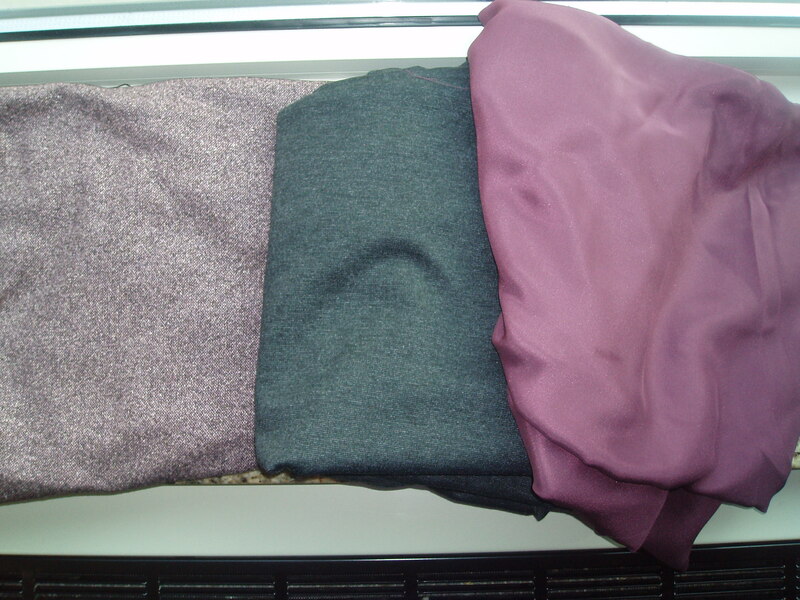 So when I went to topstitch, I changed it again to the yummy plummy one. I started to merrily topstitch away when I remembered that I had read somewhere that I could use two different color threads when sewing (one color for the needle and a different one for the bobbin). What?!?! You don’t have to use the same color for both the bobbin and needle? Sacrilege! Heresy! Saturday night I was happily sewing along on my latest rendition of B5147 in plummy tweed. I had just finished all my darts (all six of them on the shell) around 10:30pm. I thought for a moment about starting the darts on the lining when I realized that I didn’t have matching thread for the lining. Quelle horreur! Not only that, but I didn’t have a matching zipper! That’s the problem with having a notion stash my friends. You just assume you have all the supplies for every project under the sun. Well, guess what? Sometimes you don’t. So that was my deciding factor to pack it up for the night. Back to the past: Unfortunately, Purl didn’t have a large selection of thread and zippers for my new dress, so Jack and I had to walk over to P&S Fabrics to get those items. P&S is my go to neighborhood fabric/notions store. While their fabrics aren’t necessarily the best, you can find some bargains there occasionally and they have a decent selection of notions, buttons and yarn. I started to panic, however, when they didn’t have an invisible zipper to match my plummy tweed. What’s a girl to do without an invisible zipper in this modern age??? (Read: I have no idea how to insert any other kind of zipper.) Near the zipper section, P&S has a few grubby bins filled with one-off zippers, some of them regular zippers that you could use as an exposed zipper. Since I was already envisioning this dress as more of a jumper than an elegant sheath dress, an exposed zipper might be just the ticket! There were two that I liked in two different lengths, 18 in and 20 in. The pattern calls for a 20 in zipper, but an emergency call to Carolyn confirmed that an 18 in zipper would do just as well; I’m not an amazon being only 5 foot 4 inches tall. 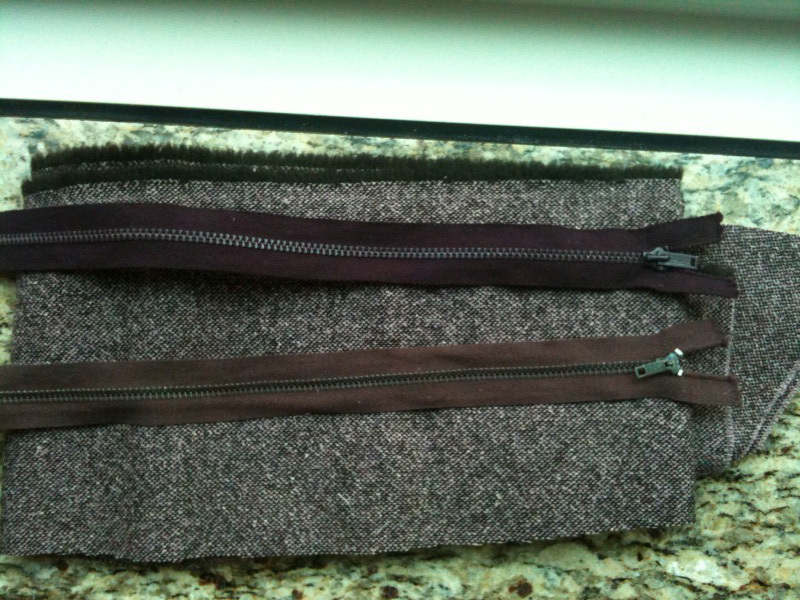 And as it so happens, the 18 inch zipper (the one at the top of the picture with the deeper purple tape) is the one I like best with my fabric. Of course I have no idea how to insert an exposed zipper. And of course, I went searching on the internet for a tutorial on how to insert one. The tutorial I like best so far of all that I found was on the Husqvarna site (click on the exposed zipper tutorial). That’s the one I will use tonight. Can one really have too much purple in their wardrobe? A: I think not! What do my recent wool coat and my soon to be new sheath dress have in common? A: Plum thread. A pleasant happenstance this evening, while choosing thread for my new sheath dress, was that I didn’t need to rethread my sewing machine. Why? Because the thread I used for my coat was just the right shade for my new sheath dress. I think I have just enough thread for the project too. How cool is that?! 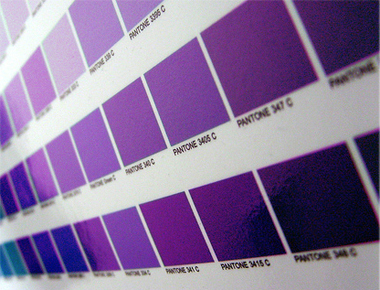 I don’t know if I’ve admitted it before, but purple is my favorite color. And while I haven’t indulged that much in it in my wardrobe in the past, I have begun to notice a purple trend in my stash lately. 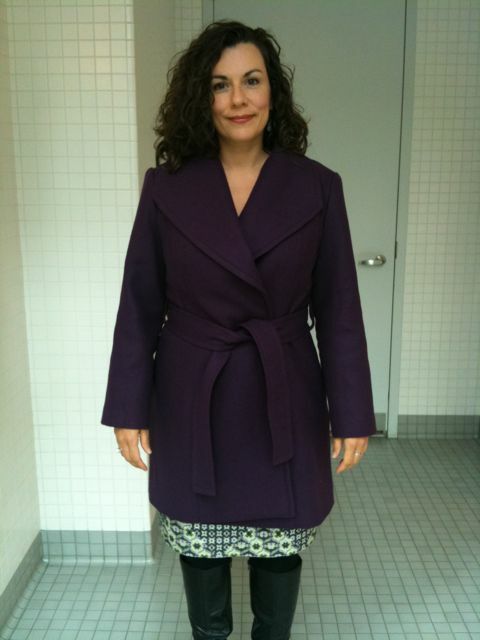 Oh, I may have conveniently forgotton that one of my winter coats is purple. And did I mention that I recently bought purple corduroy to duplicate my father’s jacket? I don’t think I am going to use that corduroy for this jacket now though. I mean, how can I get away with 3 jackets/coats that are purple??? That’s just a purple overload. I may need to join Purple Lovers Anonymous. I made decent progress on my dress tonight. I could have pushed my limits and finished all the darts on the lining too tonight, but I am sensibly knocking off early. I don’t really have any thread that matches my lining and I need to buy a zipper, so I will just wait until I can pop over to P&S tomorrow and check out their selection of thread and zippers. I like to be matchy matchy like that. That’s just how I roll. 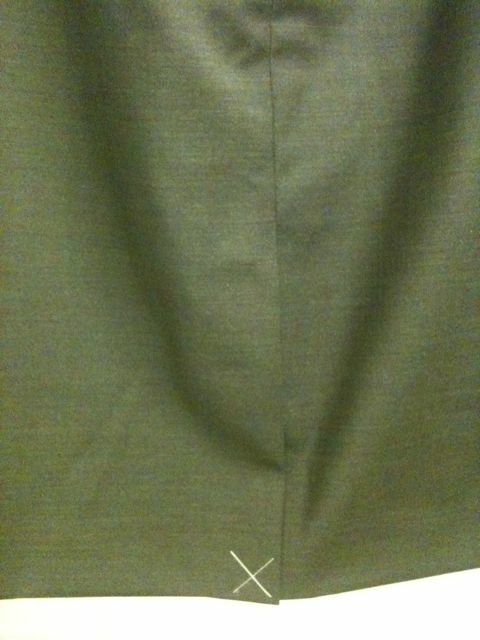 Do you see that big X on my new suit skirt’s vent? What do you think it’s there for? If you said it is an embroidered embellishment, YOU’RE WRONG! If you said it is to keep your vent closed for modesty’s sake, YOU’RE WRONG! If, instead, you said it’s to keep the skirt looking nice in the store and that one should remove the stitching after purchasing the skirt so that you can wear the skirt as it is meant to be worn, well then, YOU ARE CORRECT!!! My friends, I can’t tell you how many times every week, I see some poor deluded soul with their skirt or coat vents still stitched up. I just can’t believe that A) no one has told them to remove the stitching, and B) that they actually think it’s supposed to remain there. So, please pass along this apparently much-needed service announcement to as many people as possible. We have an epidemic on our hands!!! This time I am using a tweed I purchased from Paron’s at the NY Shopping day. I loves me a good tweed. 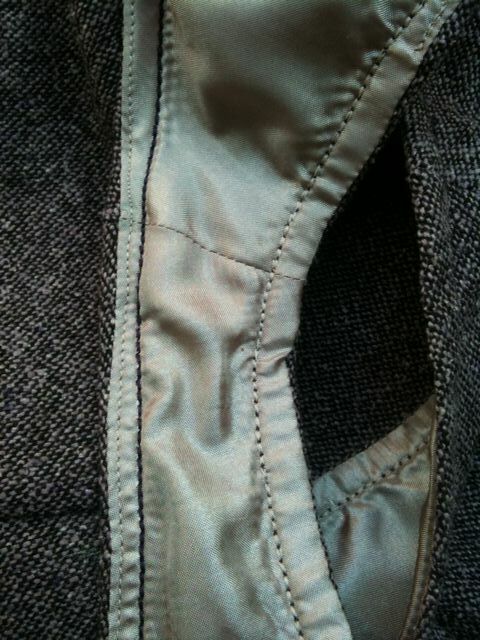 Remember my tweed Burda skirt and how I enjoyed pressing that tweed and what great pleats it made? Ahhhhh…. This tweed is in the mauvish/purple family. I know you all are shocked by this color choice, right? I added back some of the armscye that I had taken away on the dress for the wedding and will sew the side seam a little tighter right under the arm. If you’ll remember, I showed a little too much fat in that area. I was trying to take out the gaping there, which I did, but then ended up with a bit of a freak show as well. I will just tighten it up at the side seam instead, thank you very much. 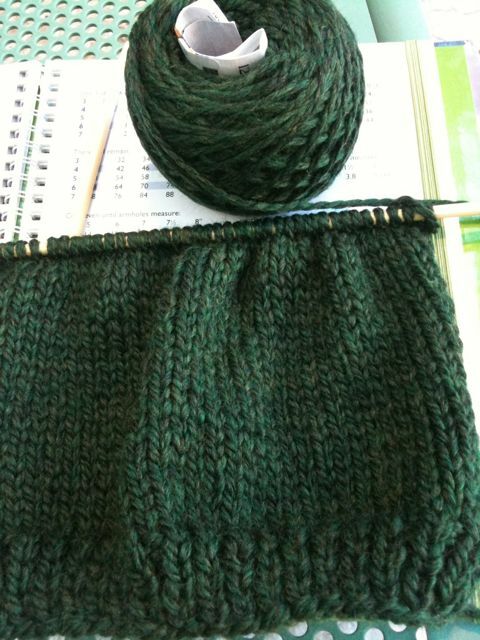 I am putting back some length to the bottom hem. I just feel more comfortable with longer skirt. I am definitely keeping the lower neckline though. I like it on me. It’s still office appropriate, although I will most likely wear this with the Burda turtleneck I plan on sewing next. I am also going to reduce the width of the front fish eye darts that I increased for the dress for the wedding. Since I know I will be wearing something underneath the dress, I don’t want it hyper-form-fitting. It feels good to be sewing again. 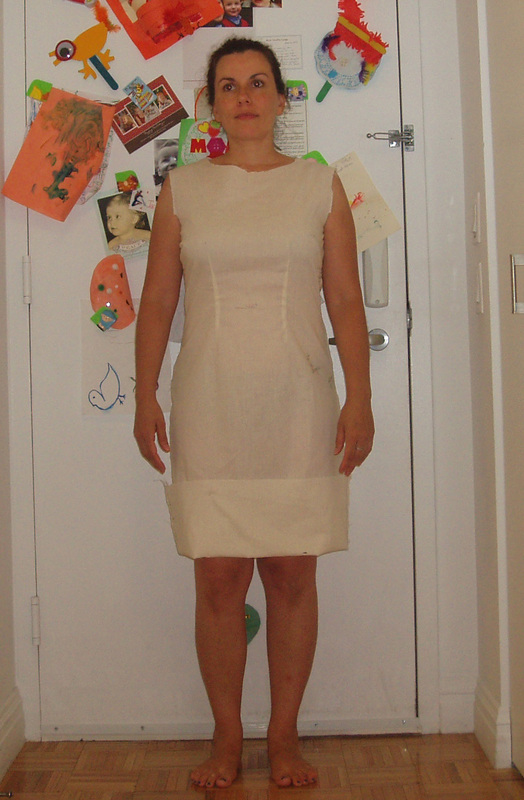 Thea was over last night and we worked on fitting my muslin for the B5147 dress. Remember how I said that it probably only needed a swayback adjustment? Well, I was completely off the mark. Here’s what the muslin looks like so far. We only made the changes to one side of the muslin (my left, your right as you look at the picture), although we let out both side seams and raised the back on both shoulders originally. So once I have made all those changes and check the fit one last time, I am ready to use this muslin as my pattern. Once I’ve made sure all the marks are made, I can cut out my good fabric. I still haven’t chosen which fabric I will use to make my first iteration of this dress. So many to choose from! But that’s a happy problem. And folks, yes, this will be my TNT sheath dress pattern. I love it!!! I’m really glad that I had Thea to help me fit this dress. I would never have known to raise the back at all; it would not have occurred to me in a million years. I think you really need a fitting buddy, preferably someone who is knowledgeable, if you’re a beginner like me. the change you need is never the one you think of initially, at least for me. This is NOT intuitive for me at all. But the most important lesson learned? 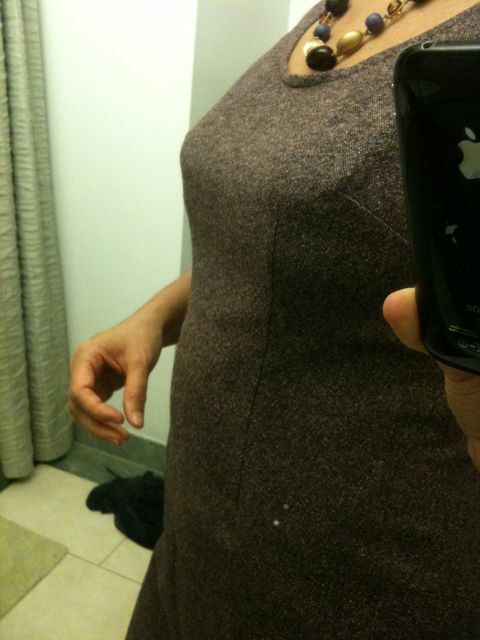 Fitted garments are flattering, no matter what your shape!